:Since what Christian doctrine denies can be as important as what it affirms, it is important to understand teachings about Jesus that the early church rejected. Historians now acknowledge that proponents of alternative teachings were not so much malicious malcontents as they were misguided or even misunderstood. Here a recognized expert in early Christian theology teaches orthodox Christology by explaining the false starts (heresies), making the history of theology relevant for today's church. This engaging introduction to the christological heresies is suitable for beginning students. In addition, pastors and laypeople will find it useful for apologetic purposes. 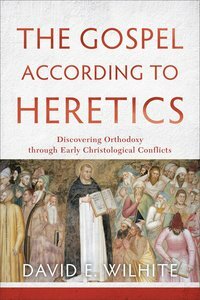 About "The Gospel According to Heretics: Discovering Orthodoxy Through Early Christological Conflicts"